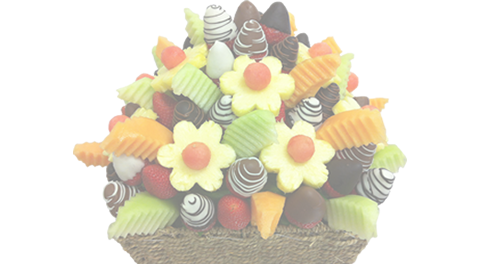 View cart “Fruity Flower Bouquet” has been added to your cart. 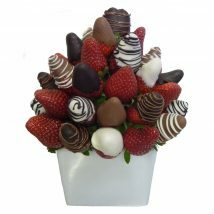 A cute and delicious treat to tell that special someone ‘I love you’. 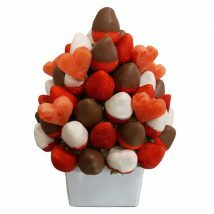 A cute and delicious treat to tell that special someone ‘I love you’. 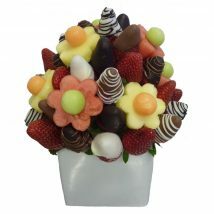 This keepsake ceramic is filled with sweet strawberries, a mixture of decorative strawberries dipped in white, milk and dark chocolate with cute watermelon and juicy pineapple hearts. 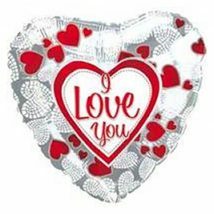 The perfect gift that says those three special words and tastes delicious. Complementary gift wrapping and gift card.